"home inspections the villages, home inspections ocala, home inspections gainesville, home inspections newberry"
What does a comprehensive visual Home Inspection cover? The visual Home Inspection and report will cover components and areas to include the following: exterior, foundation, garage, water heater, kitchen, bedrooms, bathrooms, roof, chimney, electrical, living areas, laundry, stairs, hallway, heating and cooling, plumbing, attic, fences & gates, driveways, walkways, decks, patios, drainage and more. If requested, at an additional charge we can include items such as: Irrigation System, Water Well, Swimming Pools, Spa, Sea Walls, Boat House, Detached Buildings, among others. How long does a comprehensive visual Home Inspection take? You can expect an average of 2 1/2 hours. Some homes can take as long as 4, 5 and 6 hours or even more. The age and how well the home was maintained both determine how long the Home Inspection will take. Older homes that have not been well maintained will take longer than newer homes. Regardless, we'll be there until the Home Inspection it's completed. Should I be present when the visual Home Inspection takes place? Absolutely! HOME INSPECTOR USA strongly encourages you and your spouse/partner to attend the Home Inspection. However, we do encourage our clients to give us ample opportunity to collect sufficient data before your arrival. When the Home Inspection is complete we’ll go over the findings and we will be more than happy to address any questions, issues or concerns you may have. When can I expect the complete visual Home Inspection report? Normally, our Home Inspection reports are deliver within 48 hours. However, it is the policy of our company to provide a quick brief of the items found after the visual inspection is completed. If requested, a quick overall evaluation (draft) may be provided via an e-mail within 24 hours after the inspection is completed. Can a home Home Inspection fail? No. There is no such thing as a perfect house, even with newer homes. All homes have areas of concern but everything can be repaired. It’s our job to point out if any issues are found during the visual Home Inspection, and then inform you so you can make an informed decision. No. 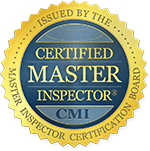 As professional and certified Home Inspectors we must adhere to NACHI Standards of Practice. Our job is to point out areas of concern as well as strong points of the home. The decision of whether to buy or not the property is strictly up to you. No. You should be wary of any Home Inspector who does. HOME INSPECTORUSA, LLC adheres strictly to the standards of practice and code of ethics set forth by the National Association of Certified Home Inspectors (NACHI). A fair and unbiased inspection is the result. This is beyond the scope of a home inspector. We will offer no opinion or advice in this matter. To remain objective and avoid a possible conflict of interest we do not involve ourselves in any aspect of the property purchase decision. When are you able to perform a Home Inspection? Due to the busy schedules of REALTOR's, clients, sellers and buyers, HOME INSPECTOR USA is available 7 days a week. Keep in mind that Home Inspections do need to be performed during daylight hours. What is the fee for a comprehensive visual Home Inspection? The fees for a Home Inspection, depends on a number of factors. Factors to consider are: size, age, components of the home, location of the home, if there’s a pool or spa to be inspected, and whether it has a raised foundation or slab. After a few brief questions over the phone we will be able to quote you our fee.